to change the sort order, click you the above buttons. When one of the members of a troupe of stand-up comedians gets a job on a comedy show, tensions arise among old friends. Two guys from different walks of life (classic 'odd couple' plot) get sent to prison by mistake (classic 'fish out of water' plot) and bumble their way up to the top of the pile (classic 'lucky dunce' plot). The movie started slow and never was very funny, but had just enough to keep me in my seat for its considerable duration. On a less relaxed night, I might have given up. There were some chuckles, and the guest appearance by Jerry Seinfeld was an unexpected treat. This is definitely a movie of the nineties, and that might be one of the things that made it endearing: it was a lot more relaxed that many contemporary productions. A school election provides the chance to look deep into the personality of several characters — from an unsavory model student to a frustrated teacher. 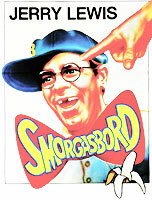 At first this movie looked as harmless as apple pie, but I was surprised at how heavy it hit every once in a while. There were no actual laughs, but it was a pleasant-enough watch laced with a few chuckles. 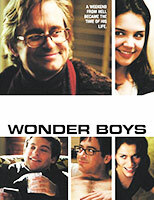 Not a laugh-out-loud comedy but a light-hearted movie in which an iconic writer struggling with his second novel deals with his lover, his editor and gifted students of his. I'm not usually a huge fan of Michael Douglas but he was perfect for the role, as was the rest of the cast, making this a surprisingly pleasant watch. With the help of a ghost, two potheads get admitted to Harvard. 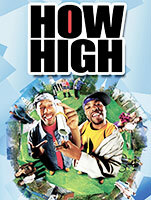 Every once in a while, I try a well-reviewed pothead movie to see if it deserves all the accolades. 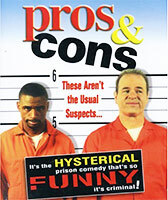 Call me close-minded and conservative, but for me the two best pothead movies are Half-Baked (1998) and Harold & Kumar Go to White Castle (2004), and this film did nothing to change that view. I was given to understand that it was a vehicle for a couple of people I'd never heard from, and that may have something to do with its inability to make me laugh despite the actors' best intentions. It may have caused a chuckle, but in no way was it subtle. 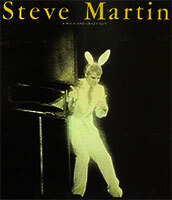 Evicted from a mens' magazine's entertainment mansion, a "bunny" finds refuge at a college sorority, where she helps unpopular women improve their image. Plot-wise, this sweet and predictable movie has about two shreds, which in my mind is plenty in the comedy genre if the laughs are there. Sadly, I'm afraid that the main reason (if any) to keep watching is not the humor, but the glitter, curves and skin. A college's new dean must redeem the battered institution by winning a football game. Every once in a while, I break down and watch a Marx Brothers movie in the hope that it will be the one that finally makes me laugh and helps me recapture my childhood awe of that comedic quatuor. This one was pleasant and made me chuckle, but no laughs. I liked that the movie was short and that the whole cast looked like they were having a good time. But the humor relies on the same five kinds of jokes (puns being the main one) and that formula just doesn't work for me. In fact, I challenge anyone born after 1960 to point to an actual Marx Brothers sequence that makes them laugh out loud today — as opposed to when they first watched the movie as a twelve-year-old. This takes nothing from the movie's quality: it is fun, well put together, and I'm sure it was hilarious when it first came out. A CIA operative whose trademark is a lucky mix of brilliance and incompetence goes up against his nemesis, who has taken control of a nuclear warhead. Is there a point in comedy that can be characterized as filthy, but not too filthy? If so, for me this movie hits that spot. Doing so, it also manages to be funny, but not too funny. A shopping mall's security guard takes himself to be a supercop. At first the lead character's acting was so over the top that I nearly gave up, but in the end I'm glad I sat it out. Even around the 30-minute mark, you could be forgiven for thinking that the best part of the film is that its main character rides a gorgeous white-and-blue 1988 Honda Transalp. But the movie is unpredictable, and that is its chief strength. It is also short, as befits fast-food comedy. There are a number of good lines, and I'm glad to report that there were a few chuckles here and there. Warning: this is not a family movie. As a Silicon Valley data moghul performs multiple hacks into Britain's national security systems and exposes the identity of all active secret agents, the British secret service bring former agent Johnny English out of retirement. In the throngs of a mid-life crisis, a Berverley Hills personality becomes obsessed with a woman whose face he has glimpse by chance at a stop light. 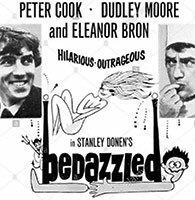 Although this was not a Blake Edwards movie of the "laugh-out-loud" category, I found it very entertaining. I loved the pacing, the dialog, the texture and the actors. A shy fast-food worker sells his soul to a very modern devil so he can woo the waitress he adores. The devil grants him seven wishes, but through some loophole or other those always come short of the poor man's expectations. For the longest time, I thought that the frequent American sneering at the French for finding Jerry Lewis funny was a symptom of ignorance on the part of the accusers (did the French really find Jerry Lewis funny?) and of their lack of sense of humor, in keeping with the general lack of appreciation for British humor on the western side of the Atlantic. You see, I hadn't yet watched a Jerry Lewis movie, and I assumed that he had to be terribly funny in a way that most Americans just didn't get. Some say that this film is Jerry's funniest, but it was one of the least funny comedies I'd ever watched, confirming part of the popular wisdom that I'd so long rejected. I still don't know whether the French find Jerry funny; true or not, the idea that they do is certainly amusing. An African American becomes a star telemarketer by putting on a "white voice". When he gets promoted he must choose between his teammates and his need for cash. To avoid being shut down, a Vermont highway patrol unit competes with the local police to impress the Governor. The humor largely derives from the cops' inappropriate behavior. This made me laugh the first time around, but not on the second watch. 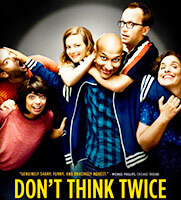 First things first: the first half-hour of this movie is awful, then it slowly turns into a decent little rom-com. The awful part is about a man's addiction to graphic depictions of the female figure. The rom-com part is about the interplay between a Palestinian-American man and the Israeli woman who marries him for the papers. I can't guarantee you'll make it to the romantic part. The beginning is that bad—and yet I'm interested in the issues and in both cultures (Palestinian, Israeli) and languages (Arabic, Hebrew). 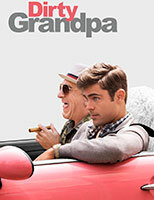 Shortly after his wife's funeral, a man coerces his preppy grandson to act as wingman at a sleazy Florida resort. It's actually crasser than it sounds. If you're a fan of the growing subgenre of movies where Robert De Niro says the F word a hundred times, this one might be for you, and this website probably isn't. Now that we got that out of the way, the real problem with this film is that it's the wrong message. What's the message? That it's okay for seventy-year-old men to lust after college girls. It wouldn't surprise me if I learned that the maker of Viagra had financed the film. Who else benefits from that message? The promoters of that decaying world. Relax, by "world" I didn't mean the United States as a whole, but the film industry, as a start. 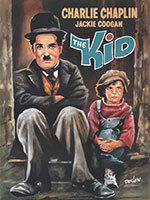 After finding a baby boy who has been abandoned on the street, Charlie Chaplin's character "the tramp" raises the child, who becomes a partner in his broken glass repair scam. After the last day of high school, students cruise around town over the course of a long afternoon and its ensuing night. 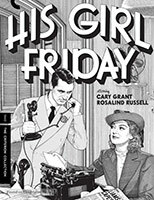 A young man moves into a country house with two unstable women: that's about as far as I'd dare describe the plot of this plotless film. Against the backdrop of an upcoming public execution, a ruthless newspaper owner tries to lure his journalist ex-wife back into his world. After her first semester of college in L.A., a Midwestern girl brings an outrageous young man from school back to the farm for Thanksgiving so she can get out of committing to her old boyfriend from high school. A group of friends who gather weekly to play games gets treated to a lifelike high-end game that brings them into a world of real gangsters. A man in dire need of escaping the tedium of his suburban life ties air balloons to a chair to see if they will lift him in the air, to discover that his cooky idea works all too well as he is carried high into the skies, to finally land in a country town where, incognito and while half the country is looking for him, he starts to live a blissful life among fast friends. 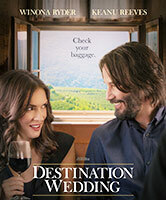 Don't expect big laughs out of this cute little rom-com—even though every viewer knows this moment is coming all along, my biggest chuckle was when the chair is airlifted—but I expect you'll find it entertaining enough for the demands of a movie date. The lead character has that constant smirk that most will find charming and a few irritating. Although not in the same league as The Castle and The Wog Boy, it is a worthwhile window into Australian culture. The movie "screwed" about the butler that steals his bosses dog it's hilarious. It ends up turning into a big adventure that deals with theft, kidnapping, extortion (ransom) and attempting to get back at a mean boss, but everyone involved learns something at the end of the day about themselves and each other, all in all pretty funny. However it does start out a little slow. I was surprised when I didn't find " Liar, liar" (Jim Carey) on the list. It makes me laugh over and over every single time. You missed the funnest of all time: Old Dogs. Subject: you missed a movie! Where is Mash? 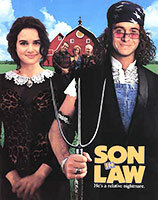 I think this is one of the funniest movies of all time followed by Animal House. Subject: RE: you missed a movie! >you missed a movie! Where is Mash? But thank you for trying to improve the database, always looking for things I've missed! Horrible Bosses is the funniest movie I have EVER seen! By far.